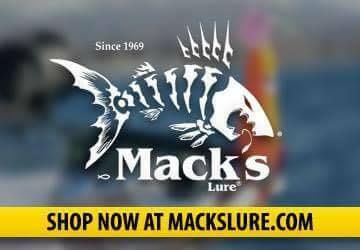 Danny is a Pro Staff Angler for premium fishing companies brands such as Mack’s Lure and King Fisher Boats. Danny is also a freelance outdoor writer and has written many articles for publications such as Western Woods & Water Magazine. You can find Danny traveling throughout the province conducting angling seminars on a variety of different fishing methods. Danny is very active within multiple fish and wildlife conservation groups within the BC community. He loves to share his love and passion for fishing with others. Sharing his discoveries, adventures and tips on the water with fellow Anglers is just as equal of a passion of his as fishing. Danny encourages all Anglers to share the sport of fishing with the younger generation so they too can have those special moments in life fishing with their fathers, brothers and all loved ones. Born in Texas, Seth’s first fishing memories are of bass, catfish and panfish with a cane pole. In 1989 Seth moved to Princeton B.C. where he began his fly fishing obsession. Starting on little 20 mile creek and moving on to the Similikameen and Tulameen rivers. When Seth got a car and could go other places he fished the area lakes in his bellyboat. From Princeton he moved all over the province chasing money and chrome on the fly. Seth now resides in Quesnel B.C. With his wife Candice and kids Hailey and Savannah. 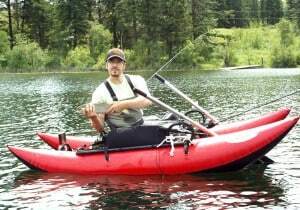 He gets out on the many cariboo lakes regularly. Living close to a few really good little lakes helps him get out lots. He also takes trips north for steelhead and salmon when ever he can. He logs for a local company and dreams of fishing all the time. Originally from Sault Ste. Marie, Ontario, Matt Benson has been fishing and hunting all his life. His love of the outdoors began at his family’s cottage on a lake trout lake and today, much of Matt’s time and energy has been focused on bass fishing. 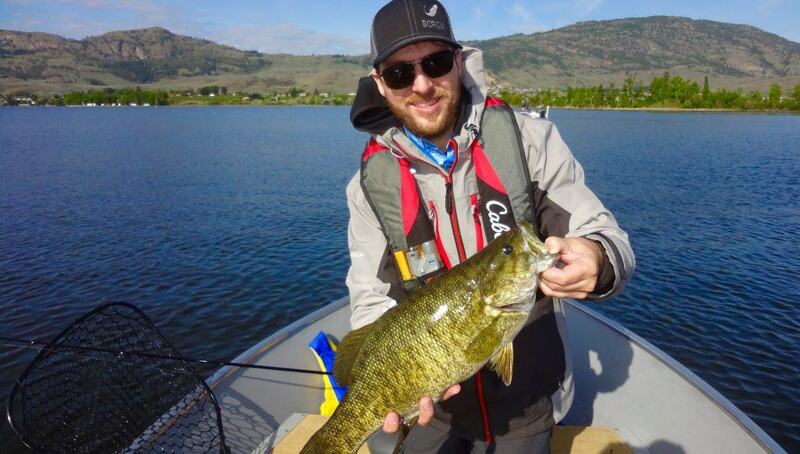 While living in Alberta, Matt would travel 8 to 14 hours to fish at a number of BASS and TBF [The Bass Federation] tournaments in Montana. 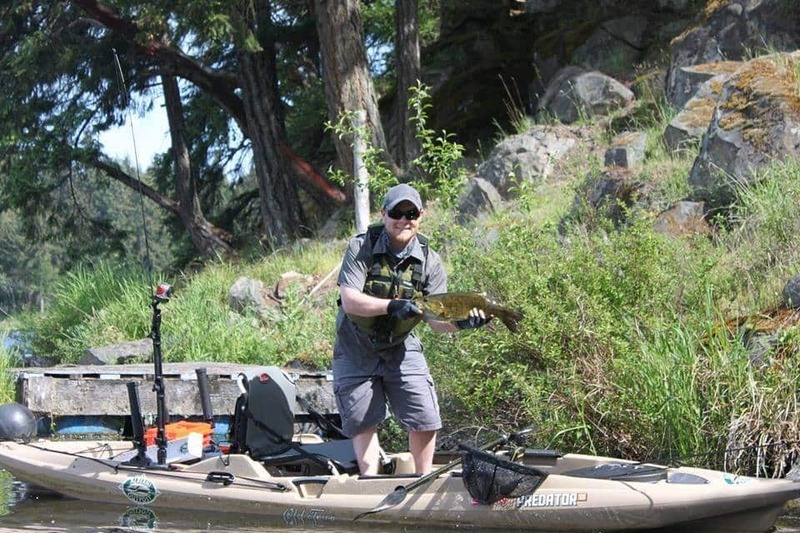 His dedication and skill landed him a spot on the Montana State team a few times which allowed him to fish bass all over the Western US and down into Branson Missouri, for the TBF national championships in 2012. Matt is also a Cabela’s Pro Staff Angler and conducts angling seminars throughout the province. Andrew Watson has been fishing since the age of 6. He was introduced to fly fishing by the age of 7 and never looked back. He was born in Niagara Falls, Ontario and has fished many of Canada’s Great Lakes. He has traveled throughout Canada and fished in almost every Canadian province. Andrew has had the opportunity to guide throughout the Alberta Rocky Mountains and has gained a lot of experience over the past 10 years guiding high profile clients. 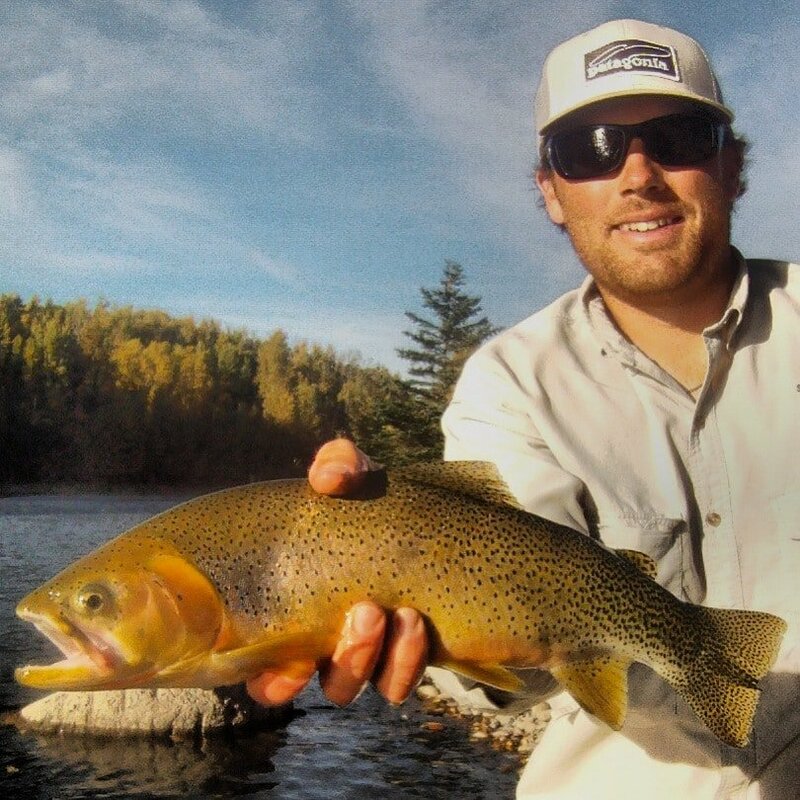 He enjoys teaching new anglers the sport of fly fishing and loves every aspect of the sport. He’s finds a thrill not knowing what around the next bend. He’s a certified fly casting instructor, a self taught fly tier, and enjoys every opportunity he gets to hit up a river weather it be with his fiancé or alone. He has also written articles for magazines in the sport of fly fishing, has been featured in many news paper articles, and has created many events for volunteer work for river clean ups, kids can catch programs, and also been featured on radio for his great accomplishments in the fishing industry and in his community. 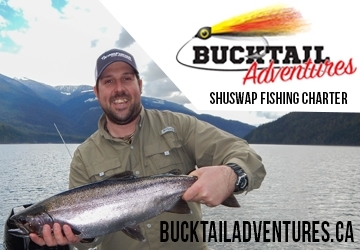 He now resides in British Columbia and is looking forward to expanding his knowledge and hoping make a great impact in the conservation part of the sport and make a difference that is noticed. 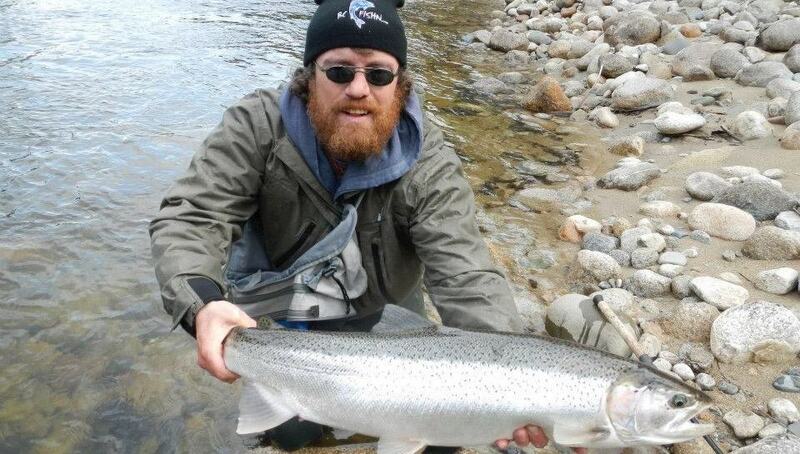 Andrew is also looking forward to landing his very first Steelhead in the near future. Greg Montreuil was born and raised in a small town in Northern Ontario called Iroquois Falls. Greg has been fishing since he was a young chap. He remembers catching his first fish; barbotte onRiceLake! 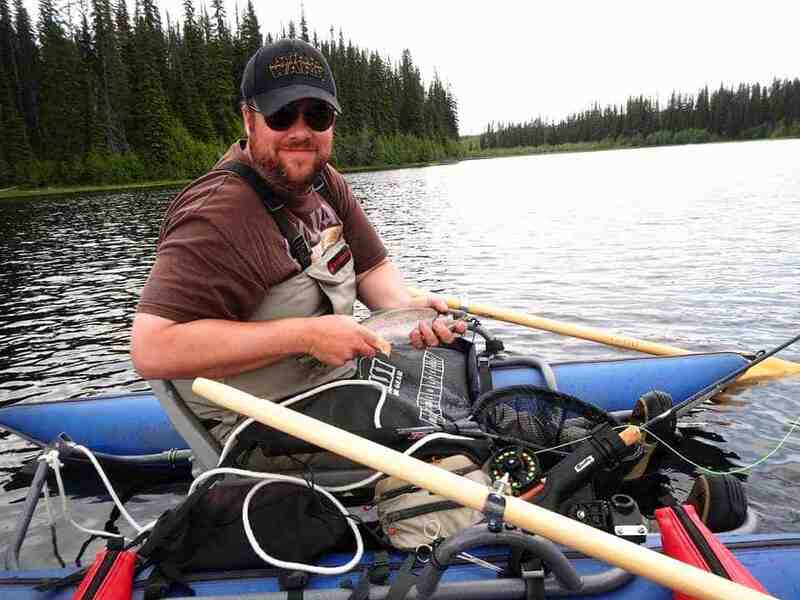 Greg is an enthusiast outdoorsman and loves fishing for Pickerel and Pike. In 2010, Greg moved out to Vancouver Island(Ucluelet) and never looked back! 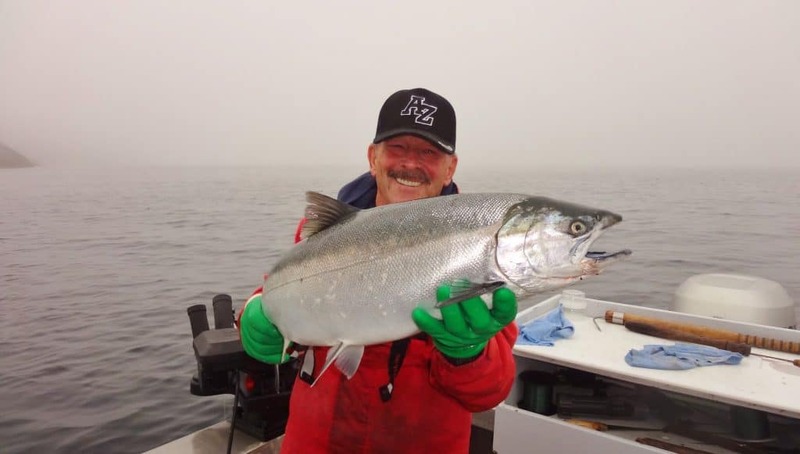 Greg quickly discovered that the fishing that Ucluelet is any anglers dream! From Ocean fishing to driving his Jeep in the back country to find a fishing hotspot was a whole new thrill. 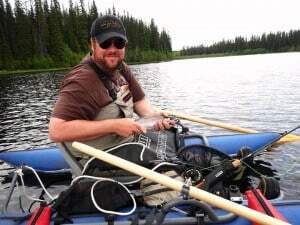 In 2012, Greg was transferred with work and now resides in Cranbrook BC, another hot bed for fishing! Greg fishes almost every weekend and like any other angler, he enjoys the variety and challenges of new lakes and rivers. Sonny Covin has been salmon guiding since the mid 1970’s while in Campbell River, British Columbia when he wasn’t flying water bombers for the Flying Fireman, in Sydney BC. During his time fishing in British Columbia Sonny guided in the Tahsis area as well as in the Bamfield waters going up to 26 miles off shore with his 17 foot Boston Whaler in the shipping lanes to catch some of BC’s spring salmon, ling cod and big halibut. In the last six years, he has been fishing the Prince Rupert waters in his 24 foot aluminum cabin cruiser the “Sonny Buoy” from July to September and enjoying the company of Flying Fireman pilots and their families as well as his family and friends from his current town of Leduc, Alberta. When Sonny is not in Prince Rupert he likes to fish for Walleye, White Fish, Rainbow, Pike and Lake Trout around the Leduc area. Having over thirty years of west coast fishing under his belt, Sonny Covin brings a volume of fishing experience to the team at a pro level! Sonny has just been accepted as part of the fishing Pro Staff on the UFINDFISH Mobile App created by the Canadian Sport Fishing Show. Drew grew up in Princeton and has been fishing for about 30+ years. He mostly used spin cast and trolling rigs growing up and ventured somewhat into the world of fly fishing in his late teens. Fishing was his main hobby when growing up and can remember fishing the Similkameen River and multitude of still water lakes and streams in the area. Drew has lived in Abbotsford, New Westminster, Maple Ridge, Castlegar and has settled down in the West Kootenay City of Nelson with his wife, 2 young daughters and dog. During his time in the lower mainland, Drew got out of fishing for a variety of reasons but always had his fishing rod in his car in case a roadside lake or stream caught his eye. 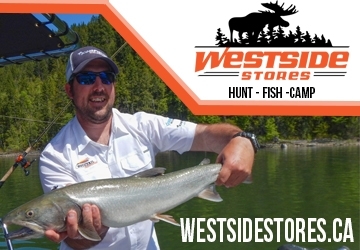 It wasn’t until he moved to the West Kootenays a few years ago when his passion for fishing was re-ignited. Then in 2012, Drew took a fly tying course and got a new fly fishing setup. It was then and there that his passion turned into an obsession, as his wife would say. Although experienced in many years of fishing, fly fishing has provided Drew with a whole new challenge. Fly tying complements the fishing and there is nothing like reeling in a big one on something you have created at the bench. While primarily a fly fisher, Drew still enjoys trolling and using spinning gear too. Drew believes that as it is important for adults to get out and enjoy the sport of fishing, it is equally if not more important to remember the little kids who want to get out with the adults. Remember it’s not always about the catch, it’s about the experience! Drew loves to take out his young daughters when he can. Drew is an active member in the Nelson and District Rod and Gun Club, the West Kootenay Fly Fishing Club and of course the BCWF. Chelsey was born in Black Diamond Alberta where she spent quite a bit of time fishing with her Dad and Grandfather. She caught mainly mountain whitefish and pike within her earlier angling days. 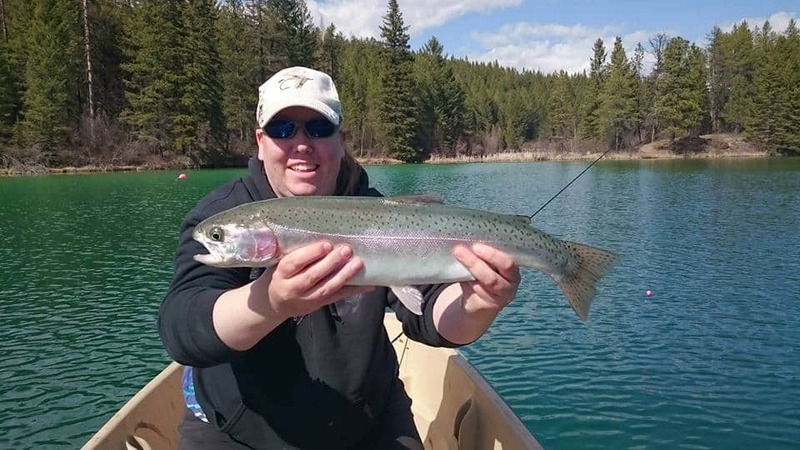 She met her husband in Calgary and then moved to Cranbrook which happened to be her husband’s hometown and to her surprise it was a fishing mecca! Her husband supports her passion 100% and she has him to thank for showing her all the “sweet spots”. Chelsey is a very strong believer in catch and release and practices it often. She fishes every chance she gets but to her the outdoors has much more to offer such as hiking, camping, and mountain biking of which she enjoys as well. Chelsey loves being a female angler and she has a tendency to out fish most of her fellow men anglers whether it is her fishing buddy or just a stranger on the opposite side of the river. Chelsey would like to see more ladies out there fishing because they are definitely missing out! 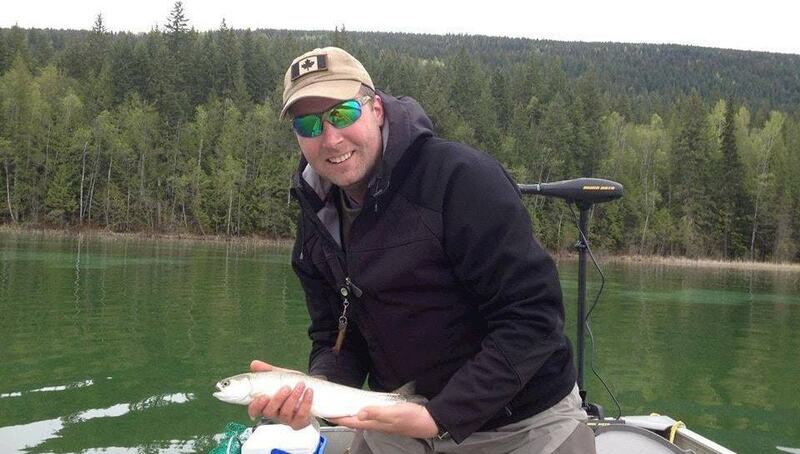 Justin grew up fishing and guiding the storied trout waters of Southeastern BC near his hometown of Kimberley, BC. Starting out as the shop kid for the St. Mary Angler at 15, Justin started guiding at 18 and spent the following 8 years as a guide, fishing extensively on the St. Mary, Elk, and Bull Rivers, while also spending time on the Skookumchuk, Wigwam, and the various other tributary streams in that area. Upon the completion of his Bachelor of Mgmt. degree from UBC-Okanagan, Justin took a position with Skeena Meadows Wildlife Preserve, a recreational property on the Skeena River, near New Hazelton, BC. Justin continues to build his skills as both an angler and caster (having recently taken up spey casting), and is working towards achieving his FFF casting certification. 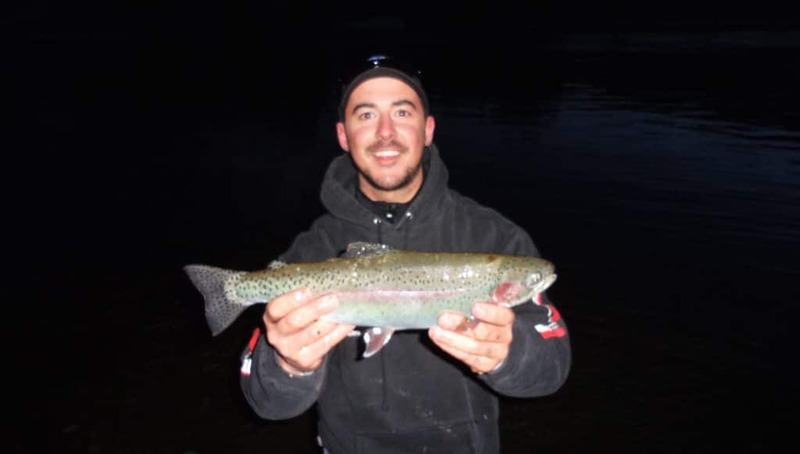 Justin has always enjoyed sharing his passion for angling (specifically fly-fishing) with others and for many years his work as a guide fulfilled that desire. 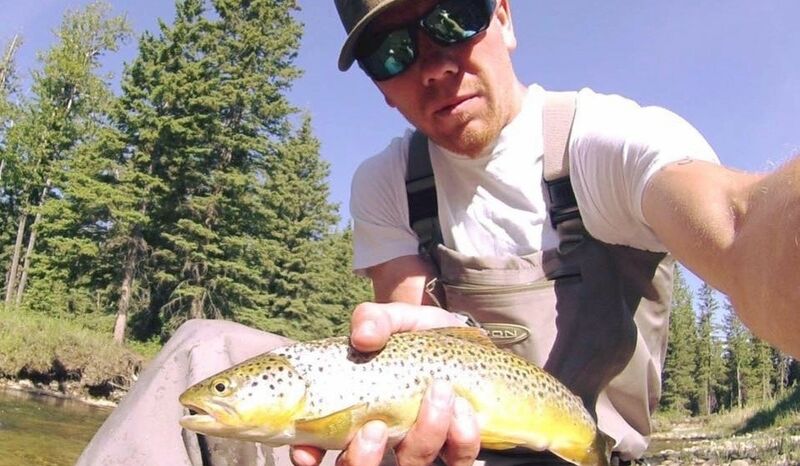 As he has phased out guiding, Justin has increasingly turned to introducing friends and family members to fly-fishing and has enjoyed spending more time fishing himself. Justin believes in attracting new anglers to the sport and so that they too can become advocates of long term sustainability of our lakes, rivers and fish! Raymond Blake was very lucky to be born and raised in Jasper Alberta, he then moved to Kelowna 10 years ago. Ray started fishing at an early age and fly fishing by the time he was 14. Growing up in the Rocky Mountains and Jasper area Ray mainly fished for Rainbow, Brook and Bull Trout, Mountain White Fish and Northern Pike. Some of Ray’s best memories as a young angler were hiking into lakes that were surrounded by Rocky Mountains with his belly boat strapped to his back. Once he was old enough to drive he started to explore other fisheries located near Edmonton and Calgary, especially the Forestry Truck Road area which is one of the best fishing destinations that Ray has ever experienced! Now living in Kelowna Ray mainly fly fish’s rivers and small lakes with his Pontoon Boat. Ray has a “reel” passion for the Salmonidae fish family. His fascination with these fish leads to his desire to learn as much about them as possible; including obtaining any books he can get his hands on! Ray is very open when it comes to angling and is never shy to share information with other anglers. He has always been a catch & release angler, however doesn’t shun people for taking fish home for dinner. 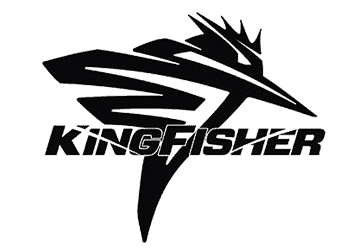 Ray participates in each style of angling from spin and bait casting gear fishing to fly fishing. Fly Fishing is by far his preferred method as he is always on the pursuit of trying to make every cast the perfect loop! Ray’s first rule of angling is to respect the fish and to handle them with the care they deserve. 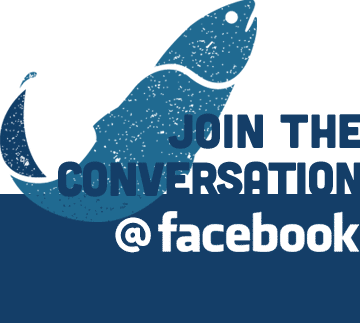 He hopes to share and tell many fishing stories as well as provide information to fellow anglers so we can all have a great day out on the water! Sam van Kampen was born and raised in Cranbrook BC. He started fishing at a young age at the many lakes, rivers and creeks in the east Kootenays. During this time he had the opportunity to catch mostly trout and some bass. In 1996 just after graduation Sam moved to Calgary Ab. While there he continued to fish occasionally and was able to catch some other species of fish. 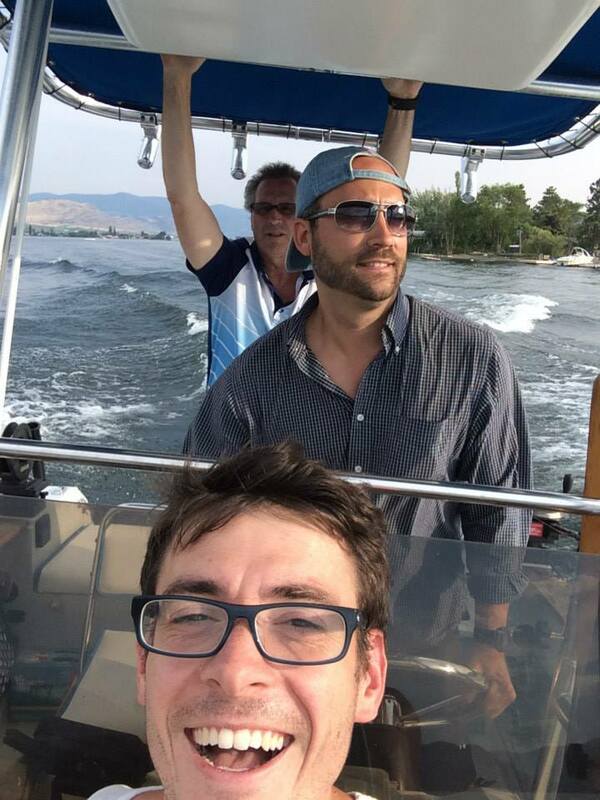 In 2004 Sam moved to Kelowna BC and fished rarely until 2012. At this time Sam tried fly fishing with some success but continued to spin cast most of the time. More recently Sam has enjoyed more successful days and improvement with his fly fishing technique . 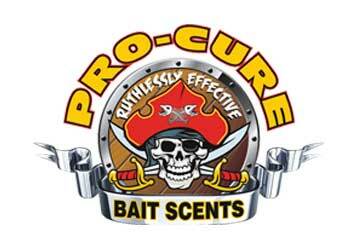 This can be attributed to fishing more often and added knowledge from his friend and fellow fisherman Raymond Blake. He still prefers spin casting but is hoping that improvement in his fly fishing technique will increase his love for fly fishing. In 2013 he also started to tie his own flies and enjoys catching fish with a flies that he has tied. Sam is looking forward to the future and expanding knowledge of fishing, fish in general and increasing his love for the sport. Nelson is passionate about water and fishing. 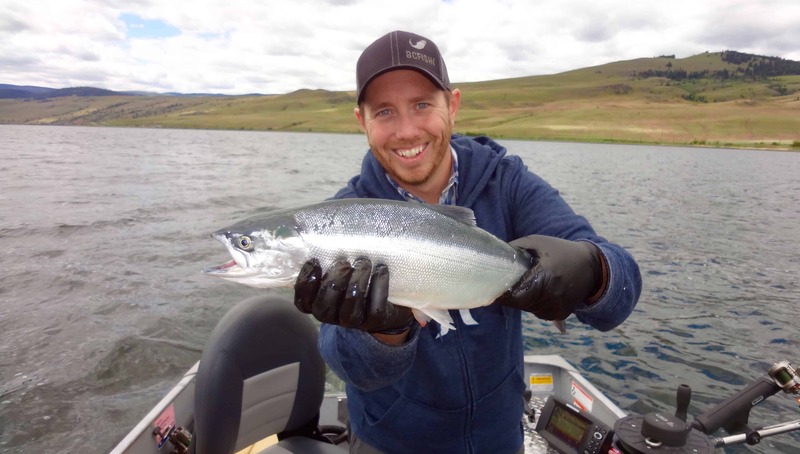 He has a science degree in freshwater science, a master’s degree in water governance and enjoys the hands-on activities of being a PADI Divemaster and fishing guide/owner with Desert Salmon Charters (www.desertsalmon.ca). Nelson has worked with the Okanagan Basin Water Board’s Okanagan Water Stewardship Council for over seven years to develop practical solutions that reflect the best available science, innovative policy and consensus approaches. Nelson teaches Applied Water Law at Okanagan College and as a Professional Agrologist practices Social Network Analysis with clients to help make ‘invisible’ networks visible (www.limnology.ca); applying communication and policy tools to support collaborative learning and improving organizational governance. Nelson enjoys photography, writing and storytelling, and being active outdoors fishing and hunting. Having lived in the beautiful Okanagan for over 39 years, he loves hosting guests from around the world; sharing the amazing local wine, beers and fruit found here. He is an active volunteer on the Okanagan Salmon Community Initiative advisory committee and helps manage their family vineyard in Naramata.